Guys. New obsession alert. 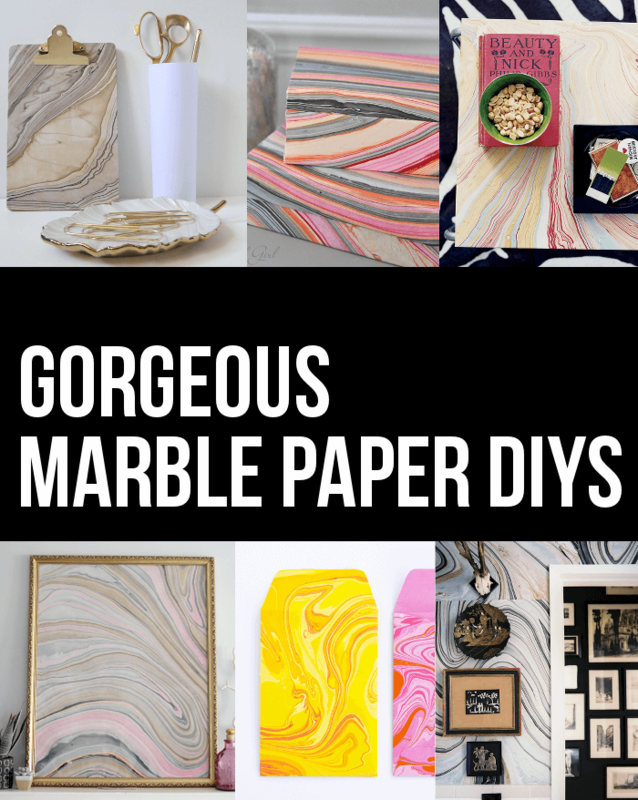 I’m going crazy over marbleized paper over here. Crazy. It all started maybe a week ago when I discovered this GORGEOUS wall art from The Lovely Cupboard. Isn’t it beautiful? And doesn’t it look expensive? 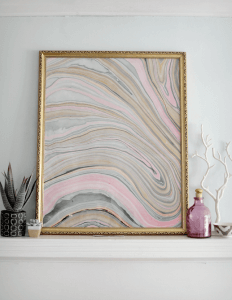 Guys – It’s framed paper. Yeah…. I needed this in my life ASAP. 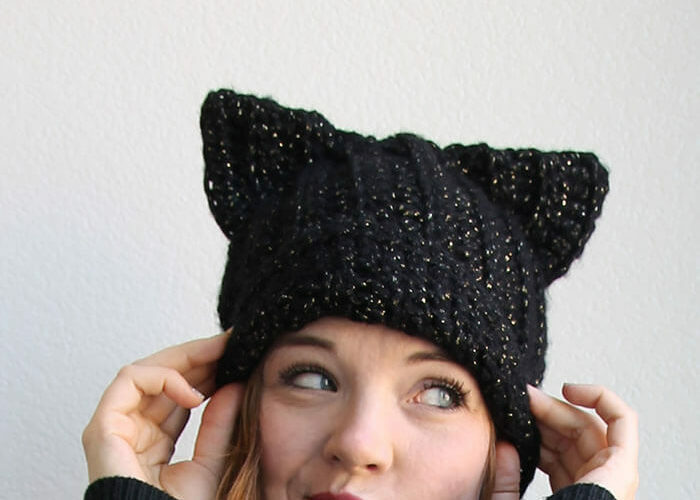 And, yes, I did order several pieces that will hopefully be arriving soon. And what will I be doing with it when it arrives? Let’s look at a few options, shall we? My first thought was to cover boxes like Centsational Girl did. And I’m thinking it was a good thought. 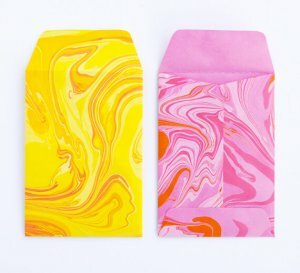 How gorgeous are these? 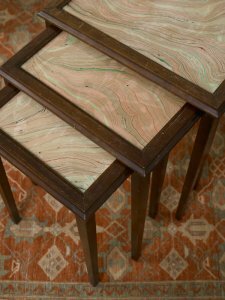 Or, how about covering some thrifted nesting tables like Eddie Ross did? 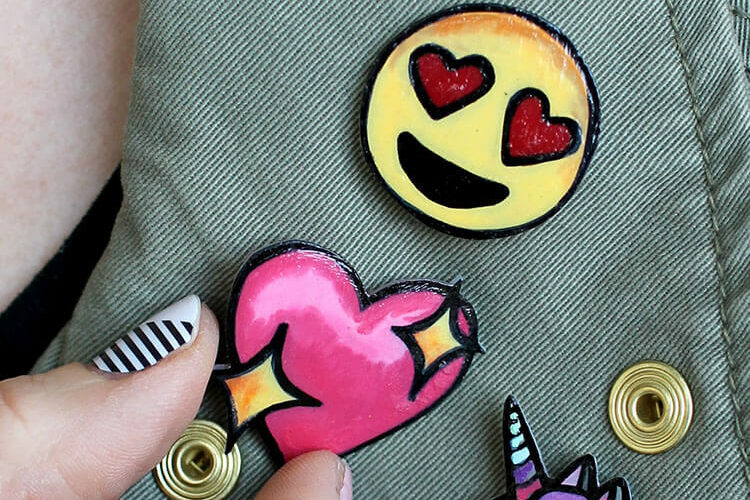 And then there’s gorgeous clip board from Fabric Paper Glue. Hmm… decisions. 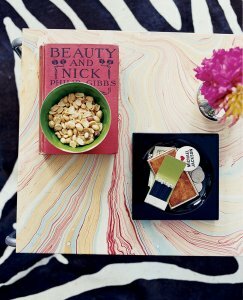 But I really kind of need a coffee table covered in marbled paper like this one from Nick Olsen in Domino. 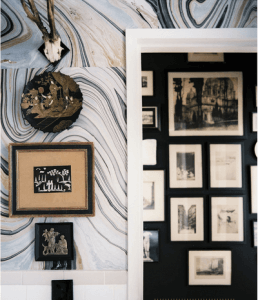 And if we want to get really crazy (like crazy awesome), we can take that paper and turn it into wallpaper like was done in this small bathroom in Lonny. And, okay, this one was actually made with fabric, but you could totally achieve the same look with paper. From One Kings Lane. So, what do you all think? Pro? Con? Let’s discuss. 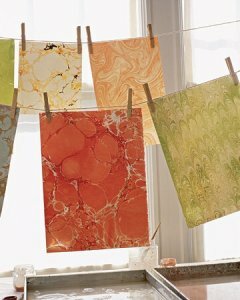 Aaah I&#39;m loooving marbled paper, too! 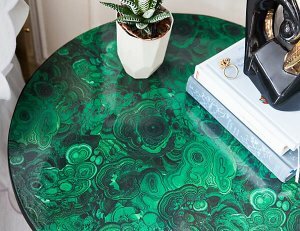 I&#39;ve been itching to change up my coffee table and was thinking contact paper, but maybe marbled paper will do. I love that one from Domino! Love it! 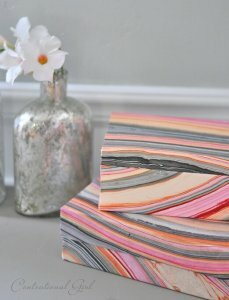 I&#39;ve been deciding whether to order some gorgeous navy marbled paper, but shipping to canada is $35! 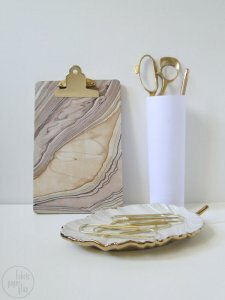 for $5 paper 🙁 <br /><br />As for my favourite DIY- I LOVE that clipboard. Oh my these are stunning!! 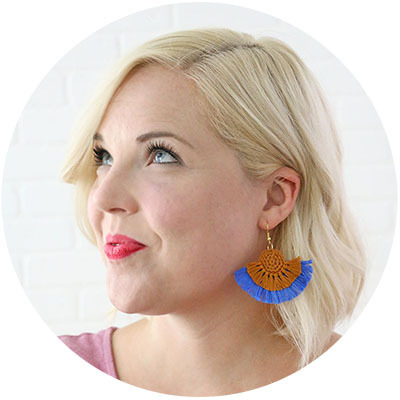 I love them- thanks for introducing me to these techniques Alexis – you have got me thinking about where I can use this now! !